You can save a lot of money by replacing old fluorescent lights for the new T5 small fluorescent light fittings. All T5 fittings are electronically controlled so no need for starter changes. T5 fittings are smaller, brighter and are around 45% more efficient compared to traditional T12 fittings. 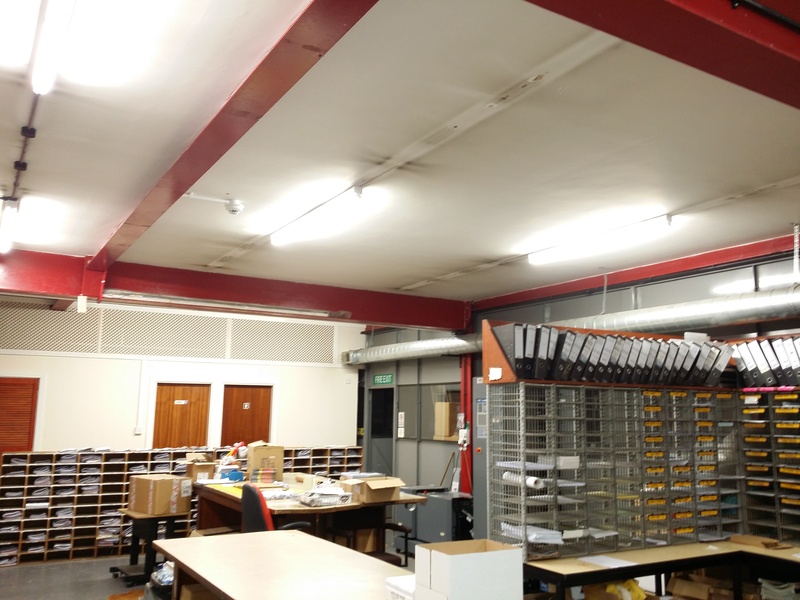 Amateur Motorcycle Cycle Association or AMCA asked us if we could sort out there print room as all the old fittings were failing or not producing light, but still using power. We said not only can we fix the lighting but save money in the long term on the electricity bill. Day and Knight electrician Cannock got John from the energy saving showroom to specify and calculate how much light they need and how many fittings they needed. Then all the lights were removed and Safely disposed of. The new energy efficient lights were installed as you can see by the photos the result is impressive. 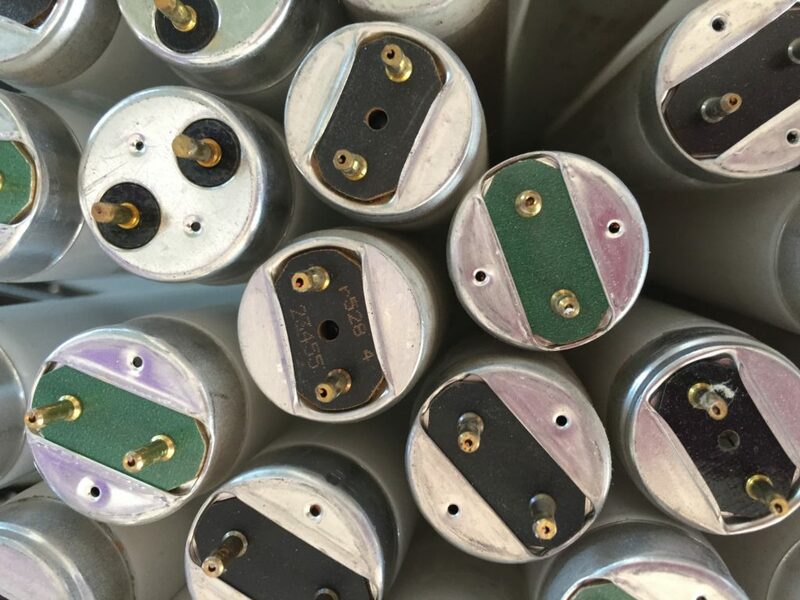 Saving money on fluorescent lights in your commercial property is simple. As you can see by the photos the scorch marks on the ceiling the old fittings also posed a fire risk as well as being inefficient. The Amateur Motor Cycle Association (AMCA) is one of the oldest off-road motorcycle governing bodies in the world. Established in 1932 in the West Midlands it has played a key role in the growth and promotion of the sport in this country. Today it has over 200 affiliated clubs that cover most of the United Kingdom with approximately half of these motocross specific and the remainder split across several other off-road sporting ‘codes’ including trials (modern & classic), scrambles, supermoto, enduro, moto-duro and beach racing. AMCA caters for riders of all ages and abilities from a 9 year old just starting out to those still competing in the modern and classic versions of the sport who are well into their seventies (there’s more than you might imagine)! Each year the AMCA sanctions close to 1,000 across all disciplines. In addition it has comprehensive event infrastructure and equipment in place which it provides to its clubs as well as management, administration and financial support from its Headquarters in Cannock, Staffordshire. Having worked closely with communities for over 75 years the AMCA is well versed in the many issues associated with the sport at a local level including noise, access and insurance. 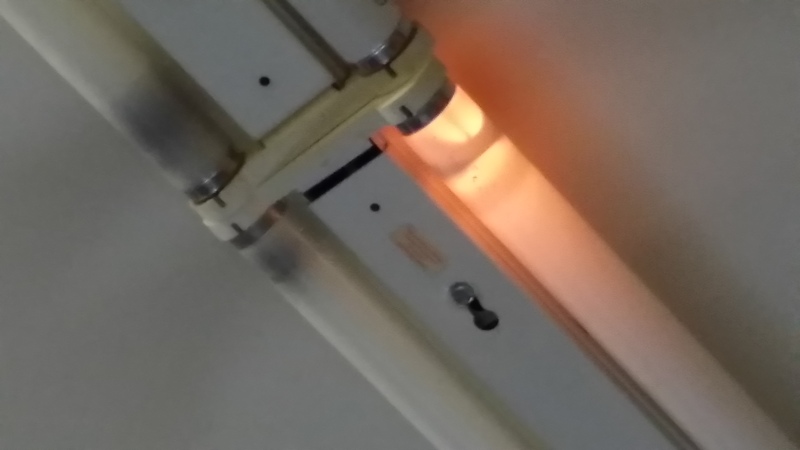 This entry was posted in Commercial and tagged old fluorescent lights.